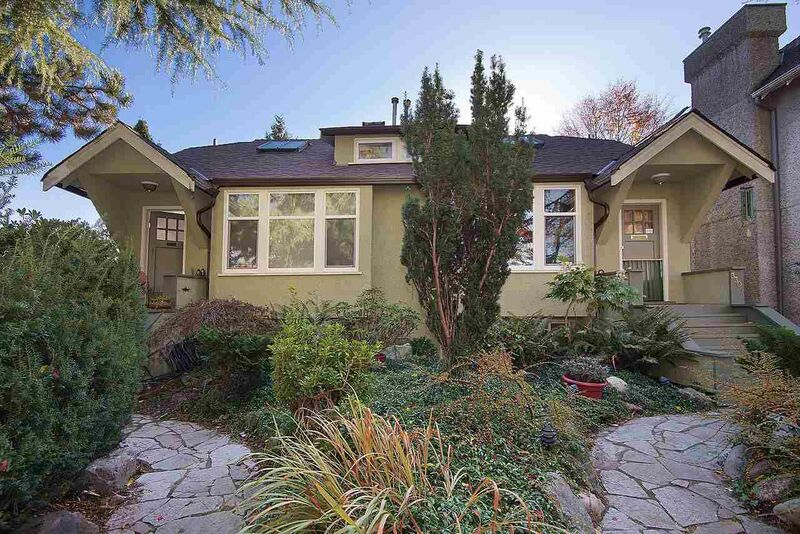 SIDE BY SIDE DUPLEX on a CORNER LOT in the heart of Kitsilano. Large property at 49x110, with views of the mountains and directly across from McBride Park! Both sides mirror each other with great layouts, and approx. 1600 square feet each. 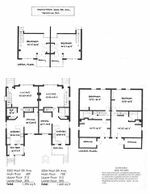 The main floors consist of a large living room with gas fireplace, full bath, and the kitchens and dining rooms have been opened up with access to the south facing yard. Upper level has a generous master bedroom with skylights, lots of closet space and balcony. Lower level is spacious with a bedroom, laundry, full bath and large flex room that could easily be used as another bedroom, office or workshop. Ample storage and single garage comes with each unit. There are many opportunities for this property! Ideal for investor, developer, friends who want to purchase together, or downsizers who want to live in one side and have an income suite. Walking distance to Bayview elementary, beach, shopping & restaurants on West 4th and Broadway. Rarely do properties like this become available! Please do not disturb the tenant.